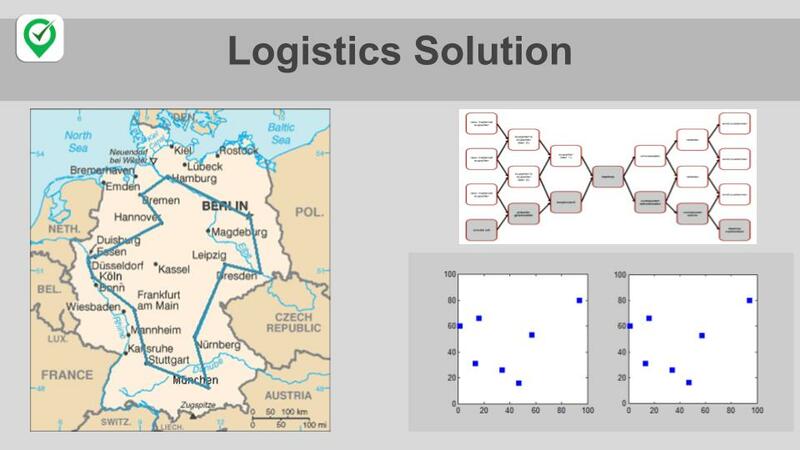 Make My Day have extended the solution providing on top of EVs also to managing fleets building a solution for the Traveling Salesman problem and Vehicle Transporation Problem. Literraly providing a solution for routing and planning the daily and weekly and even monthly drive of salesman, logistics and fleets. Connecting with the company enterprise SAP solution or SalesForce CRM to provide managers the ability to follow and admistrate tasks. Make My Day offers a Unique Algorithm adaptation over the know Dijkstra and Fast Marching algorithms, utilizing Weinstein Gann and Heat Map solutions for AI in Traveling Salesman and Vehicle Transportation problems.